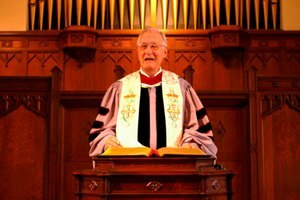 Seminary schools encourage academic, professional and spiritual growth. Attending graduate seminary can be the gateway to spiritual and professional growth. A Master of Divinity (M.Div. ), the standard degree for graduate ministry, is a three-year program that prepares candidates for ministry and church leadership. Many seminaries also include the option of studying an additional year for a Master of Theology degree. Other masters programs in areas such as counseling are often available as well. Some seminary schools you might consider include Moody, Liberty Baptist, Baptist Bible Seminary and Dallas Theological Seminary. One of the oldest seminaries in the country, Moody's ministry leadership, intercultural studies, urban studies and spiritual formation. Moody's program fosters growth in the areas of academic achievement, professional development and building relationships with others. 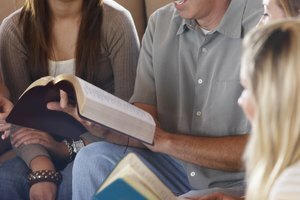 Students commit to intensive study of Greek and Hebrew, learn to explain and defend scripture and develop preaching and writing techniques. A culminating internship allows them to apply their skills in a professional ministry setting. Liberty features both residential and online tracks for seminary. In additional to a Ph.D.-preparatory academic concentration, available only through the residential campus, the program offers four areas of study, including missional studies, pastoral ministries, professional ministries and theological studies. All candidates study the history of Christianity, systematic theology and church leadership, as well as courses in their chosen concentrations. Residential candidates also participate in the Supervised Ministry Field Experience program, which facilities "application of classroom knowledge into real-world experience." Baptist Bible Seminary lets you tailor your degree to specific interests and ministry goals through nine concentration choices, such as pastor counseling, church planting, global ministry and military chaplaincy. In addition to completing a core curriculum in language, Biblical exposition and theology, students are required to maintain a 2.0 GPA and continually demonstrate personal spiritual maturity, dedication and service. All candidates complete a full-year internship with a local ministry that covers all living expenses. Both online and residential programs are available. With notable alumni like pastors J. Vernon McGee, Charles Swindoll and Tony Evans, Dallas Theological Seminary (DTS) has a reputation for producing quality ministry graduates. 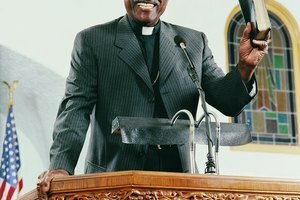 This is largely owing to its unique four-year program that combines the requirements of an M.Div and Master of Theology with more than 30 concentrations, including women's ministry, apologetics, children's education and counseling. 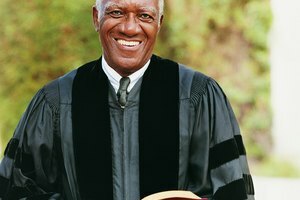 Students who have already earned an M.Div. elsewhere can also come to DTS for an additional fourth year, earning a Master of Sacred Theology. DTS also offers online programs in Biblical and theological studies. Are There Master's Degree Programs for Culture & Spirituality? Morgan, Kori. "Bible Seminary Schools." 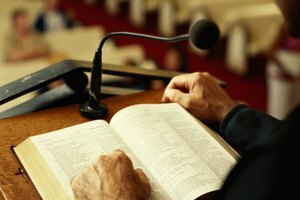 Synonym, https://classroom.synonym.com/bible-seminary-schools-14750.html. 26 September 2017.